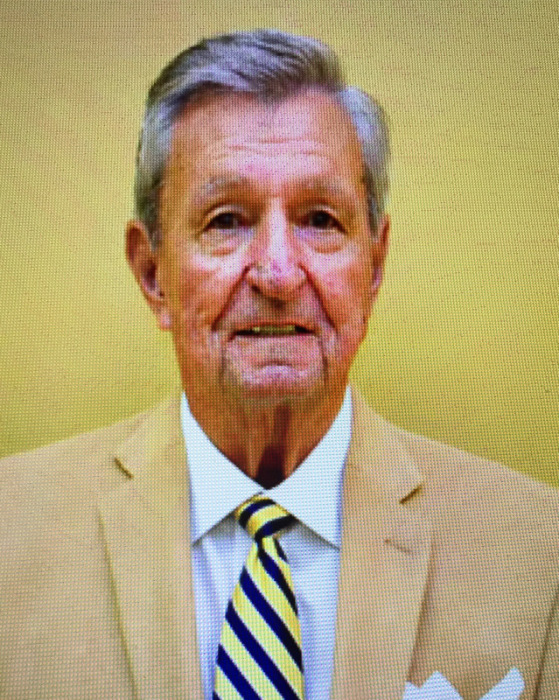 Clarence Edgar "Eddie" McBrayer of Holly Court in the Eastwood Village, Bostic and former longtime Forest City resident died Sunday, June 10, 2018 at Carolinas Medical Center in Charlotte. Eddie was born July 23, 1933 in Rutherford County and was a son of the late Reuben Blanton McBrayer, Sr. and Marie Huntley McBrayer. He was a lifelong member of the First Baptist Church of Forest City and the Ruppe Sunday School Class. Eddie was a graduate of Cool Springs High School and attended Gardner-Webb College for a brief period before entering the United States Air Force serving in Korea. He was a co-owner of McBrayer Furniture Company where he and his brothers worked together for many years in the business started by their grandfather. Eddie enjoyed his daily visits to the drug store where he and his friends gathered as well as golfing. In addition to his parents, he was preceded in death by his wife, Crystelle Capps McBrayer in 2007, his daughter, Melinda McBrayer Roach, and brothers, Blanton McBrayer and Thomas McBrayer. Survivors include his daughter, Sharon McBrayer and husband Earl Morgan of Kinston, NC, three grandchildren, Erin M. Gentry and husband Courtney, Timothy S. Roach, Jr. and wife Laura, and Petty Officer 1st Class, Stuart A. Roach, currently serving in the United States Navy; three great-grandchildren, J. Grayson Scruggs, Camden D. Gentry, and Andrew J. Roach and son-in-law, Timothy S. Roach, Sr.
Funeral services will be held at 2 o'clock Wednesday, June 13, 2018 in the First Baptist Church of Forest City with Reverend J. Anthony Spencer officiating. Interment will follow in the Cool Springs Cemetery. Visitation will be from 12:30 until 1:45 Wednesday in the Family Fellowship Hall of the church. The family request that memorials be made to the First Baptist Church, Organ Repair Fund, 211 West Main Street, Forest City, North Carolina 28043 or the Ruppe Sunday School Class at First Baptist Church.